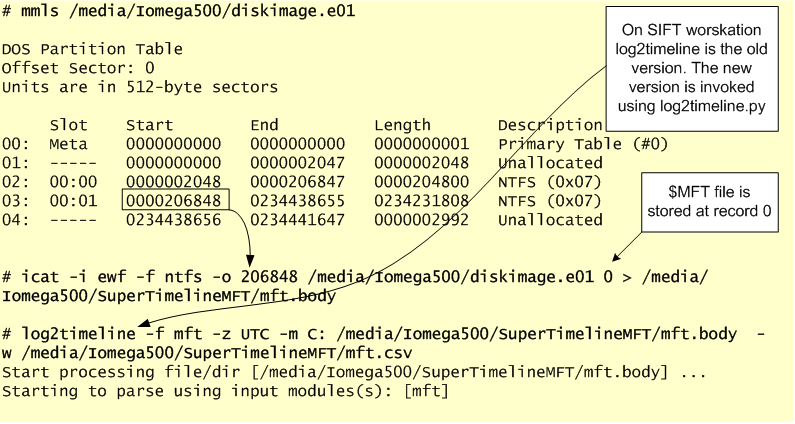 Following part I where we wrote about tools to parse and read Windows Event Logs we will start analyzing our Super Timeline. First we start by filtering out the Super Timeline in Excel and look at WinEVTX artifacts and their meaning. To be able to find interesting events we need to have a good understanding about the different Event ID’s. This will be the main focus of this article. Event ID 4624 : An account was successfully logged on. The image below shows some of this events in our Super Timeline. Clearly, someone logged on into our system! When looking into the different Event ID’s is important to review its contents. For example, in the ID 4624 there is a huge amount of information about the logon event. Information such as the User Name, Domain, Logon ID and Logon Type, Authentication Package, Source Network Address will give you more context when looking for malicious activities. One important field in the Event ID 4624 is the Logon Type. This is a code that states how the logon was performed. In this case the Logon Type is 10 which means the long was performed via Remote Desktop. The table below lists the different logon types and a brief description. This information is available on Microsoft Technet and MSDN. 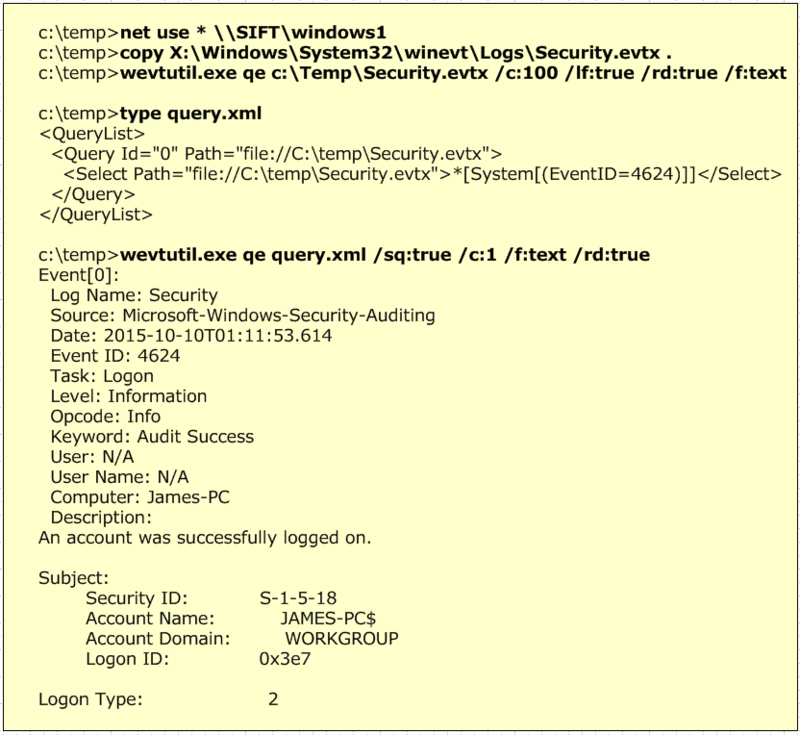 Note: From a Incident Response perspective, in Active Directory environments where the logging is centralized the logon types can be very useful when you are filtering out Event ID’s. In addition if you combine this filtering with the different Authentication Packages and the NTLM or Kerberos Error Codes you start finding interesting things in your domain. 7030 – The service is marked as an interactive service. However, the system is configured to not allow interactive services. This service may not function properly. 7035 – The %1 service was successfully sent a %2 control. 7036 – The %1 service entered the %2 state. 7040 – The start type of the %1 service was changed from %2 to %3. The Event 7045 is a new event ID introduced in Windows 7 and 2008 R2. When a new service is installed in the system this event gets recorded. Please note that a malicious actor can also create services by editing the registry directly and this will not create an event 7045. Of course in large environments you might have a broken application or mis-configured services but normally the services do not fail. If a service fails, then it might be interesting to look at it. This might indicate that an attacker or a piece of malware is targeting the service. The image below shows some of this events in our Super Timeline moments after someone logged on into our system. A system service changed to interactive and was then “svchosted” by the user Administrator. Following that it crashed and then it entered into stop state. Before we continue lets review the concept behind “svchosted” services. On Microsoft Operating Systems more and more services are turned off by default in order to reduce the attack surface. However, the Windows services continue to be a preferential choice of malware in order to achieve persistence. Microsoft has the concept of shared services in order to reduce resource consumption. This concept is materialized in the form of a service called svchost.exe. This service provides a hosting framework to launch multiple services using only one process. By using this technique multiple services are combined in service groups as long as they have the same privilege requirements. This what we called “svchosted” services. The list of groups can been seen in the Registry under HKEY_LOCAL_MACHINE\SOFTWARE\Microsoft\Windows NT\CurrentVersion\Svchost. 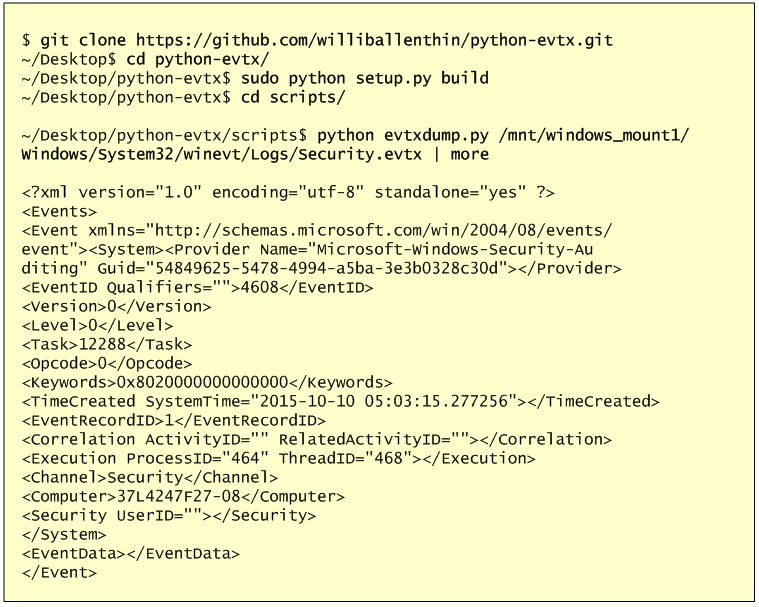 When services are “svchosted” they are loaded trough a DLL. This can been seen on Windows Taskmanager in the Services tab or using the command line and typing tasklist /svc. When services are installed on Windows they are recorded under the registry HKLM\SYSTEM\CurrentControlSet\Services key. For each service that is listed there are two relevant subkeys from a security perspective. One is the ImagePath and another one is the ServiceDLL. 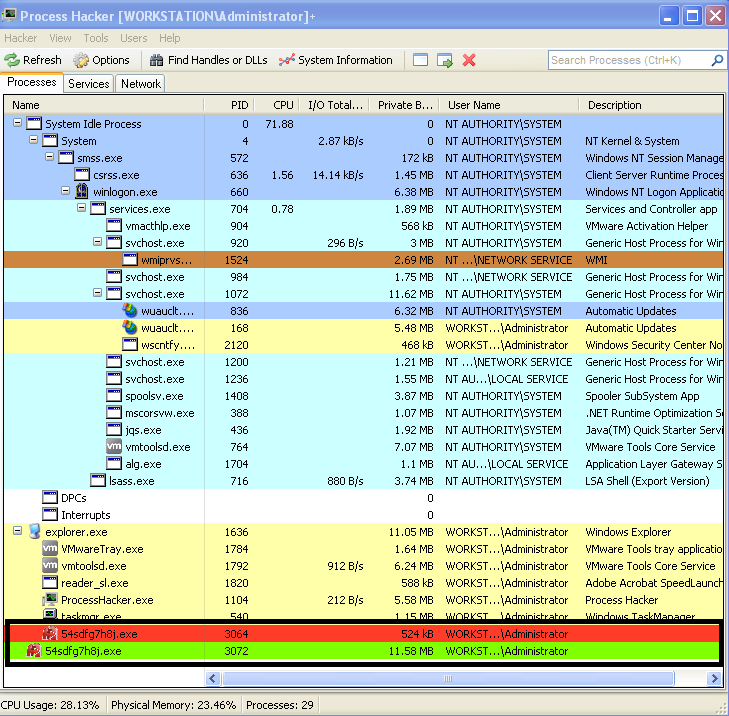 Both keys are often abused by malware to load and achieve persistence. The ImagePath for a service that is “svchosted” is always %SystemRoot%\system32\svchost.exe. If the path or binary is something else than is worth investigate. 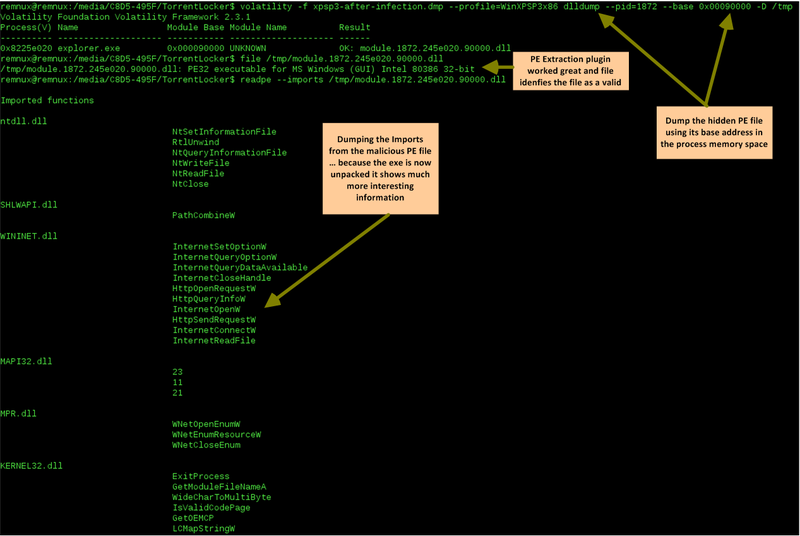 The ServiceDLL value is under the Parameter Key and it points to the DLL that is going to be loaded by the service. This key needs to point to a benign DLL. By looking at the different Event Log ID’s across our timeline we could find suspicious activities that are worth to further investigation. In this case we have someone who logged in as Administrator via Remote Desktop and we have a Service that was installed and crashed. Which artifacts should we look next? Based on the time that these events occurred we will look into other artifacts in our Super Timeline around this time frame. A closer look at the service that crashed and other artifacts that have a temporal proximity with our findings will be the topics of the upcoming posts. That’s it. We reviewed some of the events that were generated by the system in regards to Account Logon events and Service Operations. These were relevant for this exercise. However, other events could be important depending on what you are investigating. Because Windows Operating Systems have an enormous amount of different event logs and looking at them might sound a daunting task we need supporting material. Good references that can help us understanding different Event ID’s and support our investigations while looking at Super Timelines or doing investigations are listed below. 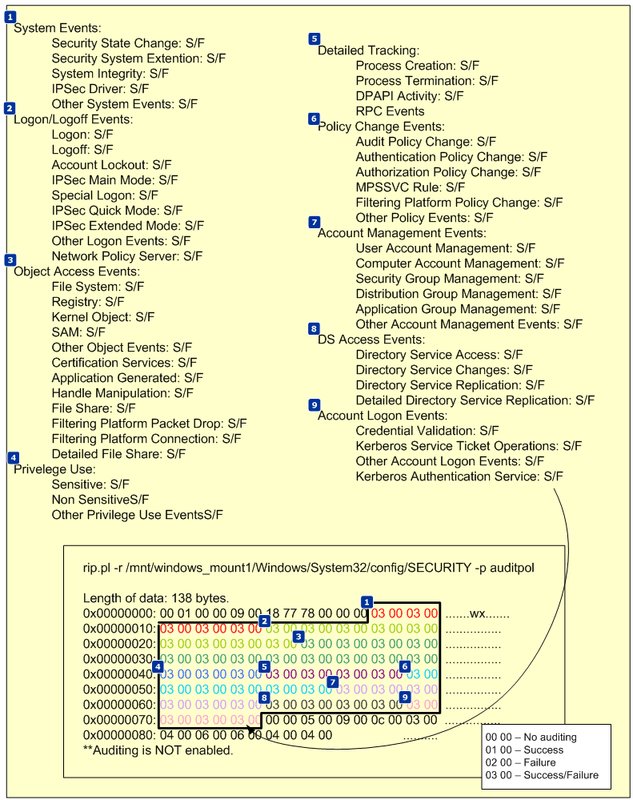 The paper “Spotting the Adversary with Windows Event Log Monitoring” published by NSA. Furthermore, the “Threats and Countermeasures Guide: Security Settings in Windows 7 and Windows Server 2008 R2” and the old but still relevant “The Security Monitoring and Attack Detection Planning Guide” paper from Microsoft also provide comprehensive material. 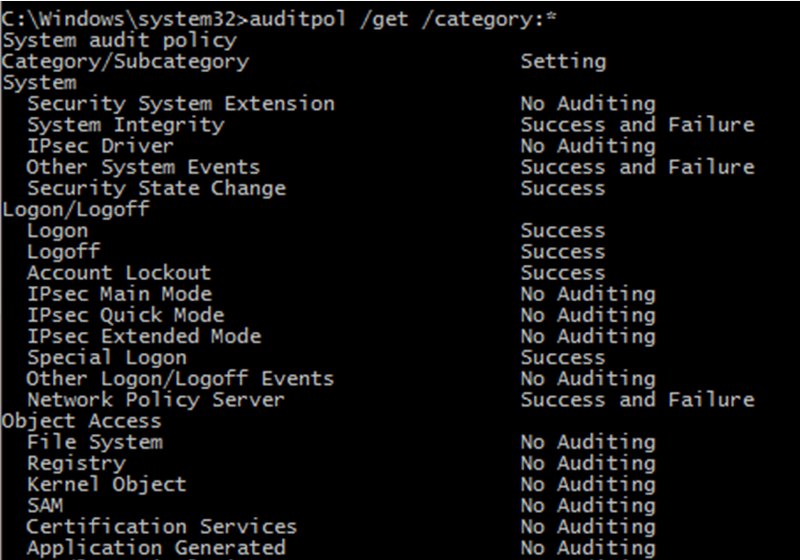 Other good resource is the Windows Logon Forensics paper from Sunil Gupta and the Windows Logging Cheat Sheet created by Malware Archaeology. Before we continue our hands-on memory forensics exercise, will be good to refresh some concepts on how memory management works on Windows 32 bits operating systems running on x86 architecture. Windows operating systems have a complex and sophisticated memory management system. In particular the way the mapping works between physical and virtual addresses is a great piece of engineering. On 32 bits x86 machines, virtual addresses are 32 bits long which means each process has 4GB of virtual addressable space. In a simplified manner the 4GB of addressable space is divided into two 2GB partitions. One for user mode processes – Low 2GB (0x00000000 through 0x7FFFFFFF) -and another for the Kernel mode – High 2GB (0x80000000 through 0xFFFFFFFF). This default configuration could be changed in the Windows boot configuration data store (BCD) to accommodate 3GB for user mode. When a process is created and a region of virtual address space is allocated – trough VirtualAlloc API – the memory manager creates a VAD (Virtual Address Descriptor) for it. The VAD is essentially a data structure that contains the various elements of the process virtual addresses organized in a balanced tree. Elements such as the base address, access protection, the size of the region, name of mapped files and others are defined on each VAD entry. The Microsoft Windows Internals book goes over in great detail about it. Fortunately, Brendan Dolan-Gavitt, back in 2007 created a series of plugins for The Volatility Framework to query, walk and perform forensic examinations of the VAD tree. His original paper is available here. That being said the next step in our quest to find the malicious code. We will use these great plugins to look at the memory ranges that are accessible by the suspicious process virtual address space. This will allows us to look for hidden and injected code. Worth to mention that a great book with excellent resources and exercises about this matter is the Malware Analyst Cookbook from Michael Ligh et. al. Another great resource that also goes into great detailed and was published last year is the Art of Memory Forensics also from Michael Ligh and the Volatility team. Both books mention that among other things the VAD might be useful to find malicious code hiding in another process. Essentially, by looking at the memory ranges that have an access protection marked as executable specially with the PAGE_EXECUTE_READWRITE protection. This suggest that a particular memory range might be concealing executable code. This has been demonstrated by Michael Ligh and was translated into a Volatility plugin named Malfind. This plugin, among other things, detects code that might have been injected into a process address space by looking at its access protections. For this particular case Malfind does not produce results for the explorer.exe (PID 1872). Might be due to the fact that permissions can be applied at a further granularity level than the VAD node level. 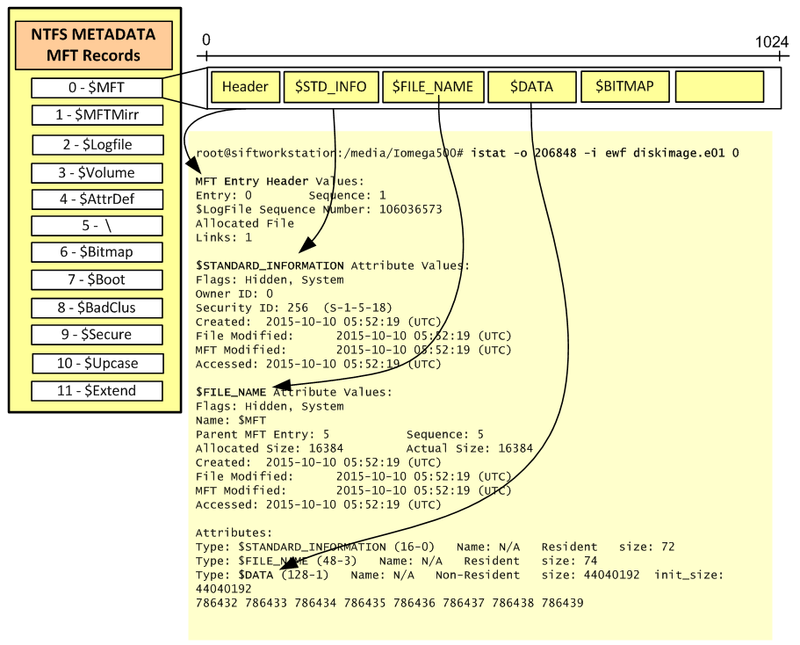 Our next hope is to start looking at the different VAD attributes and mapped files of the VAD tree for this suspicious process using the Vadinfo plugin. The Vadinfo plugin goes into great detail displaying info about the process memory and the output might be vast. For the sake of brevity only the first entry is displayed in the following picture. In this case the output of the Vadinfo plugin displays almost two hundred VAD nodes and its details. Because we are looking for specific IOCs that we found we want to further look into these memory regions. This is where the Vaddump plugin comes to great help. Vaddump is able to carve our each memory range specified on the VAD node and dump the data into a file. Then we can do some command line kung-fu to look into those files. We can determine what kind of files we have in the folder and also look for the indicators we found previously when performing dynamic analysis. In this case we could observe that the string “topic.php” appears in five different occasions using the default strings command. In addition it appears once when running strings with a different encoding criteria – and this exactly matches the found IOC. On a side note is interesting to see based on the file names the memory ranges that span the virtual address space from 0x00000000 to 0x7FFFFFFF. And you also could see that there is some groups of addresses more contiguous than others. This related on how the process memory layout looks like. The following image illustrates this layout on a x86 32bit Windows machine. 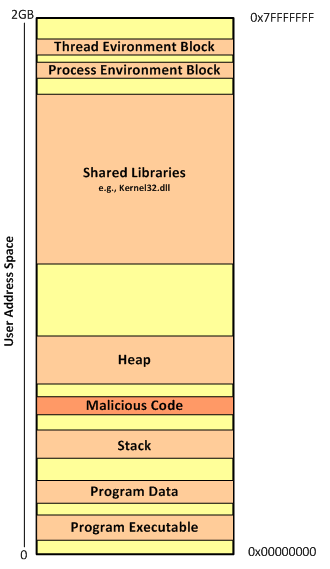 This can be further visualized using VMMap tool from Mark Russinovich and available on the Sysinternals Suite. Back to our analysis, one first step is to look across dumped data from the Vaddump plugin see if there is any interesting executables files. 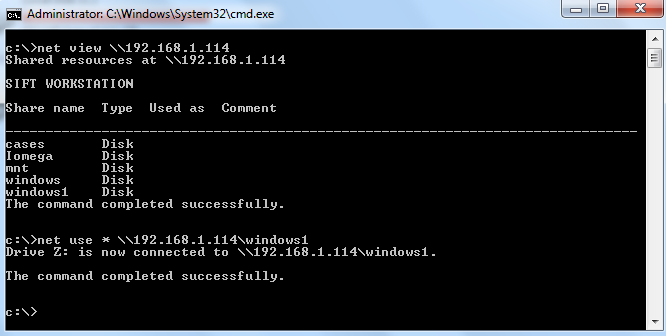 We observed that the previous search found several Windows PE32 files. Running again our loop to look for Windows PE32 files we see that it contains 81 executables. However, we also know the majority of them are DLL’s. Lets scan trough the files to determine which ones are not DLL’s. This gives good results because only two files matched our search. Based on the two previous results we run again the Vadinfo plugin and looked deeper into those specific memory regions. The first memory region which starts at 0x01000000 contains normal attributes and a mapped file that matches the process name. The second memory regions which starts at 0x00090000 is more interesting. Specially the node has the tag VadS. According to Michael Ligh and the Volatility Team this type of memory regions are strong candidates to have injected code. Next step? run strings into this memory region to see what comes up and don’t forget to run strings with a different encoding criteria. As you could see below, on the left side, we have a small set of the strings found on the memory region. This information gives great insight into the malware capabilities, gives further hints that can be used to identify the malware on other systems and can further help our analysis. On the right side you have a subset of the strings found using a different encoding criteria. This goes together with previous strings and gives you even further insight into what the malware does, its capabilities and the worst it can do. Security incident handlers might be satisfied with dynamic analysis performed on the malware because they can extract IOCs that might be used to identify the malware across the defense systems and aid the incident response actions. However, trough this exercise we gained intelligence about what the malware does by performing memory forensics. 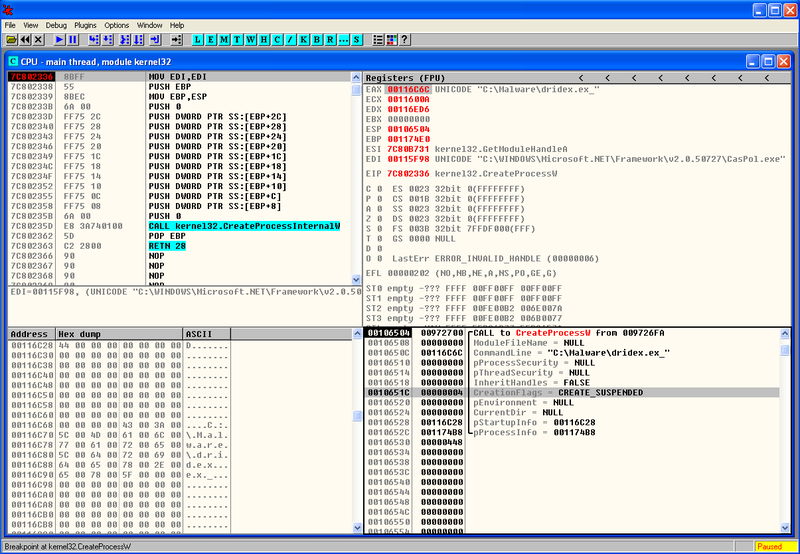 In addition, as malware evolves and avoids footprints in the hard drive the memory analysis will be needed to further understand the malware capabilities. This allows us to augment prevention controls and improve detection and response actions. Nonetheless, one might want to even go further deep and not only determine what the malware does but also how. That being said the next logical step would be to get the unpacked malware from memory and perform static analysis on the sample. Once again, Volatility Framework offers the capability of extracting PE files from memory. Then they can be loaded into a dissasembler and/or a debugger. To extract these files from memory there are a variety of plugins. We will use the dlldump plugin because it allows you to extract PE files from hidden or injected memory regions. 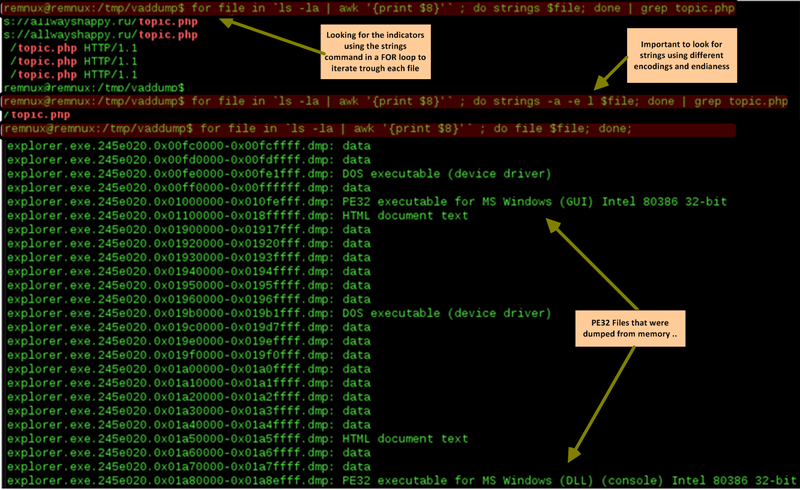 There are some caveats with the PE extraction plugins and there is a new sport around malware writers on how to manipulate PE files in memory or scramble the different sections so the malware analysts have a tougher time getting them. The Art of Memory Forensics and the The Rootkit Arsenal book goes into great detail into those aspects. 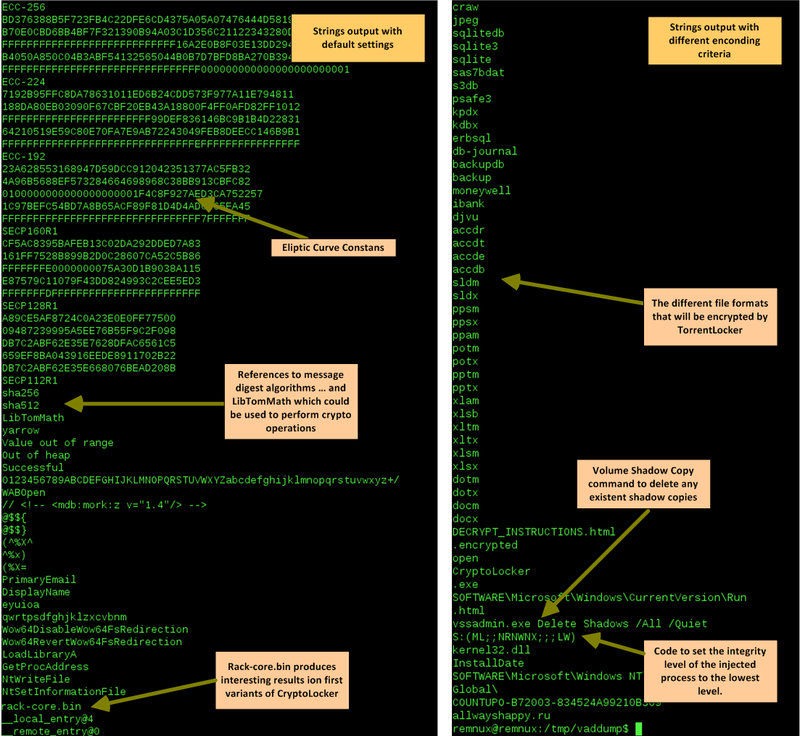 With the malware sample unpacked and extracted from memory we can now go in and perform static analysis … this is left for another post. That’s it – During the first part we defined the steps needed to acquire the RAM data for a VMware virtual machine before and after infection. Then, we started our quest of malware hunting in memory. We did this by benchmarking both memory captures against each other and by applying the intelligence gained during the dynamic analysis. On the second part we went deeper into the fascinating world of memory forensics. 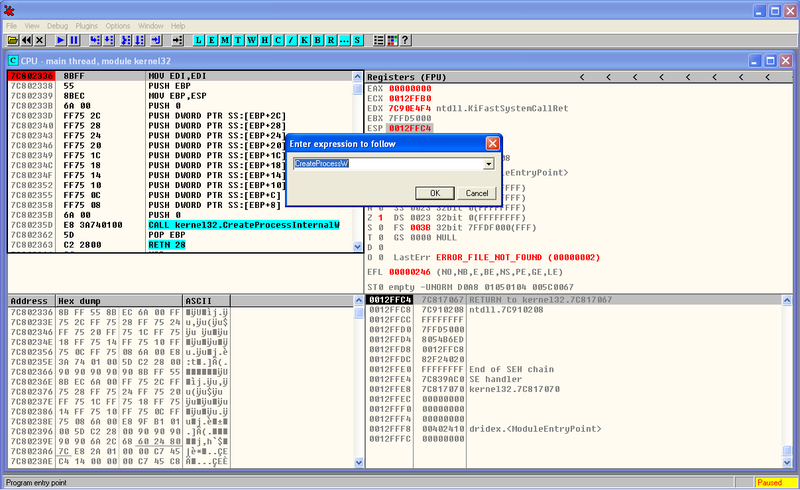 We manage to find the injected malware in memory that was hidden in a VAD entry of the explorer.exe process address space. We got great intel about the malware capabilities by looking at strings on memory regions and finally we extracted the hidden PE file. All this was performed using the incredible Volatility Framework that does a superb job removing all the complex memory details from the investigation. Ligh, M. H. (2011). Malware analyst’s cookbook and DVD: Tools and techniques for fighting malicious code. Blunden, B. (2009). The rootkit arsenal: Escape and evasion in the dark corners of the system.